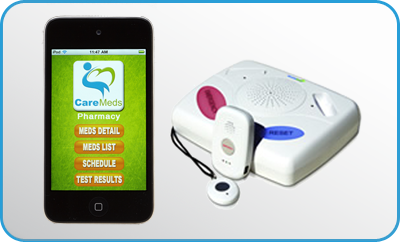 Our CareApp™ and CareAlert™ System will provide a MedMinder™ at the times you take your meds. If you don't acknowledge the MedMinder,™ our CareApp™ or CareAlert™ Sytem can notify someone for follow up. Our MedBuddy™ will provide a MedMinder™ at the time you take your meds.